My dog Sullivan is a hero. He cuddles with me when I am sad. He motivates me to stay active by hiking every week. He is a jokester and provides hours of amusement. He loves my nephews and won’t leave their side when they visit. He runs, jumps, fetches, and has a party every time I return home. When he was a puppy, just 2 hours old, I saved his life. I rescued him and watched him grow into a goofy, kindhearted dog that loves unconditionally. To me, he is the best dog in the world! But that’s not why he is a hero. Though my dog makes me happy and is my life-saver, he also literally saves lives. It may not seem like a big deal, but dogs all over the United States have benefited directly from his donation. 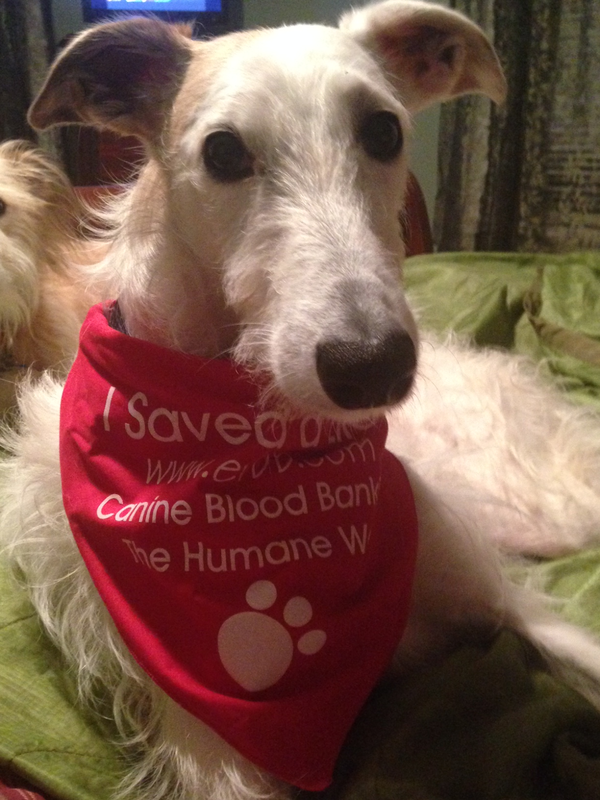 Each time Sullivan donates his blood, up to four dog’s get another chance at life. These dogs may be anemic, have an illness, or have suddenly suffered a traumatic injury like being hit by a car. Without dogs like Sullivan, they would not survive. Sullivan donates his blood every 6 weeks when Kingsbrook Animal Hospital hosts the Blue Ridge Veterinary Blood Bank. They are one of the largest of only three canine donor companies in the country. The great part about BRVBB is that they only use volunteer blood donors. So that means by Sullivan volunteering to donate his blood, he is saving yet another animal from a life in a cage with poor quality of life. On ‘blood donor day’ (as it is referred in my house), Sullivan gets super excited! He prances at the door when he sees that I have his leash. When arriving at the hospital, he makes his rounds saying ‘hello’ to all the veterinary technicians. When it is his turn to donate, he literally runs into the room. They give him lots of yummy treats and pets. Sullivan happens to LOVE having his face rubbed and the staff and veterinarian at BRVBB are happy to oblige. Check out KAH’s YouTube channel to watch a video of Sullivan donating his blood! https://www.youtube.com/watch?v=IjqUPTXZwaM It’s a lot easier than you might think! If you think your dog is a lifesaver, check out www.BRVBB.com Or call KAH- ask for Julie. I’d be happy to talk to anyone about my dog, the hero, and help you decide if canine blood donation is right for you and your dog. I may have saved Sullivan’s life, but in return he has saved so many more. This entry was posted in Frederick MD, Kingsbrook Animal Hospital, veterinarian on November 5, 2013 by yourfriends.